Just slip it on and go! 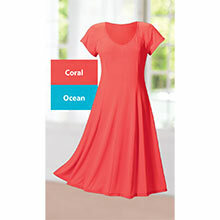 You'll look your best in this easy-wear, figure-flattering Slimming Illusions Panel Dress featuring raglan cap sleeves, rounded V-neckline and pretty princess seaming in front and back. 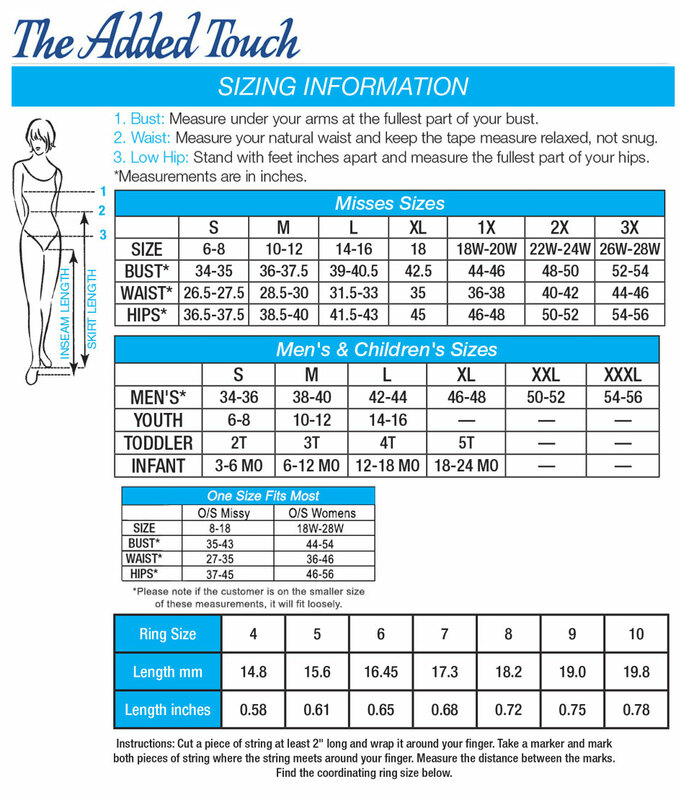 Polyester/spandex knit jersey. Machine wash. Imported. Misses, approx. 38"l.
I really like this dress. 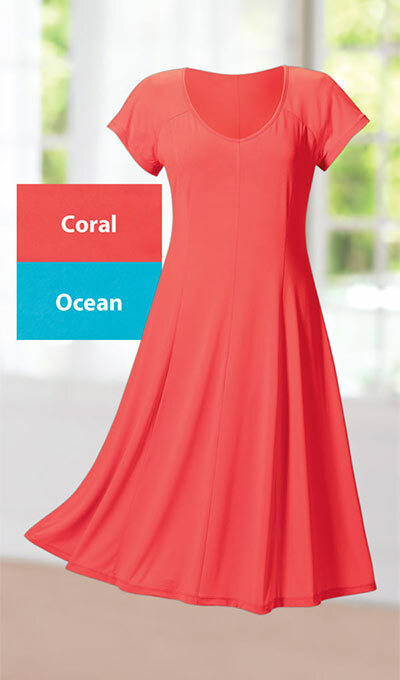 I go it in the coral colour - very flattering - in a large size. Fits well; lovely swing to it and good fit!